We have some joyful publications this month. In fact, we have so many we are going to spread details across two posts. So we will feature details of absolutely new releases here now, and next week will be a feature on paperback editions of previously released works. Otherwise it could even be too much of a good thing! 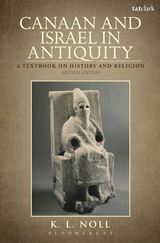 Publishing into our Library of Hebrew Bible/Old Testamen Studies, this edited collection sheds light on how particular constructions of the 'Other' contributed to an ongoing process of defining what 'Israel' or an 'Israelite' was, or was supposed to be in literature taken to be authoritative in the late Persian and Early Hellenistic periods. It asks, who is an insider and who an outsider? Are boundaries permeable? Are there different ideas expressed within individual books? What about constructions of the (partial) 'Other' from inside, e.g., women, people whose body did not fit social constructions of normalness? It includes chapters dealing with theoretical issues and case studies, and addresses similar issues from the perspective of groups in the late Second Temple period so as to shed light on processes of continuity and discontinuity on these matters. The claim that Jesus was criticised by the Pharisees for performing cures on the Sabbath has been continuously repeated for almost 2,000 years. But a meticulous, unprejudiced evaluation of the relevant gospel texts shows that the historical Jesus was never criticised by historical Pharisees for performing Sabbath cures. In fact, Jesus and the Pharisees were in complete agreement for the need for cures on the Sabbath day. It is also clear that the Sabbath healing events in the gospels have preserved a significant part of the history of the early Jewish debate which sought to resolve the apparent conflict between the demands of Jewish law, and the performance of deeds of healing and/or saving life. This debate, from its Maccabean origins through to the end of the second century CE, is the subject of this book. The story of the debate has escaped the attention of historians partly because it relies on the evidence of both the early postbiblical Jewish texts and the Christian gospels, which are not generally studied together. 'The impressive range of competent authors and interesting topics is a forceful expression of a great theologian’s fascinating search for translating authentically the gospel of Jesus Christ into the complex reality of our times. Next week will see the publication in paperback for the first time a selection of volumes in the renowned International Critical Commentary series. For over 100 years, this series has sought to bring together all the relevant aids to exegesis and now its volumes can be yours at paperback prices! Click on the covers below to order your copy. If you order before the end of September 2014 you will get 30% off as part of our back to university September sale*, an offer just too good to miss! *Offer not available in Canada. Available on select Fairchild Books only. Offer only valid on titles in stock from September 2nd - 30th. Backorders cannot be placed. Please note selection may vary by region due to publishing dates.